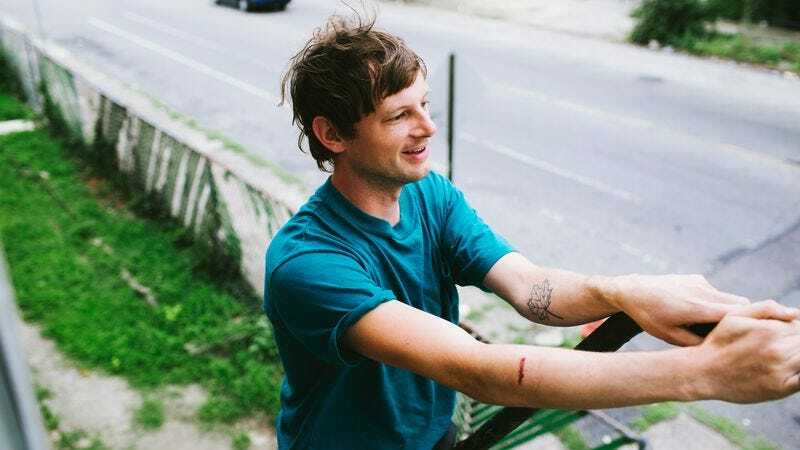 Lincoln Halloran has been working under the Hello Shark name for a decade now, slowly amassing a body of work that veers wildly across genre lines. For his upcoming debut on Orindal Records, Delicate, Halloran offers songs that fit that name nicely. The A.V. Club is premiering “Jackson Browne” ahead of the album’s release on September 30, and while the song doesn’t feel totally linked to that singer, it hits on notes of other acclaimed singer-songwriters. Parts of it feel like Nick Drake, or a less effects-laden Alex G, but, ultimately, it’s closest to Owen Ashworth’s assorted projects—which is fitting, given that Ashworth owns Orindal. Against a soft backbeat, Halloran offers up lines that, on paper, seem innocent enough. But his delivery, as in the chorus’ hook, “Baby, I’m delicate,” gives them a weight that’s truly crushing. Pre-orders for Delicate are available now through Orindal Records.